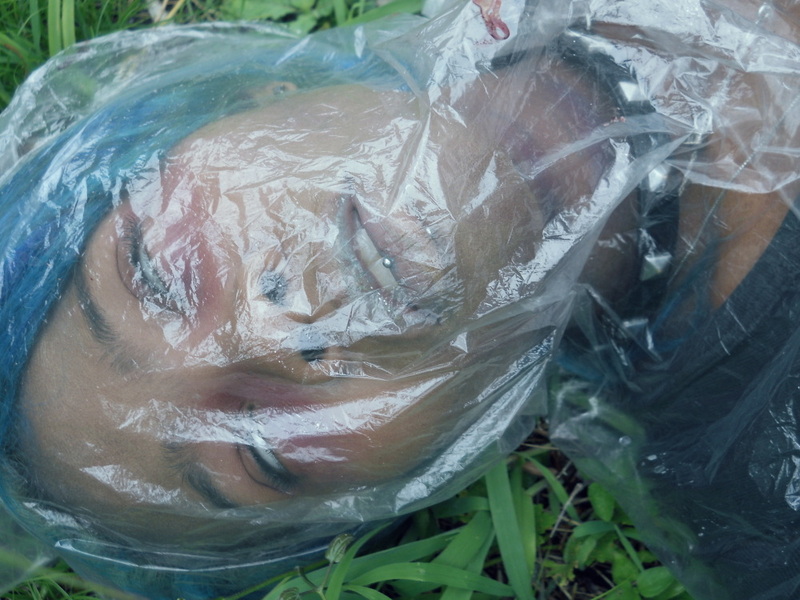 The decedent appears to be a young black female with sky blue hair who has been wrapped in a plastic bag and discarded in an abandoned overgrown grassy area. She is wearing black onesie pajamas which indicates the decedent may have be asleep and surprised by her attacker. A black belt around her neck and visible bruising at the anterior throat suggests that the cause of death was strangulation. The condition of the body suggests that the decedent was recently killed and discarded.